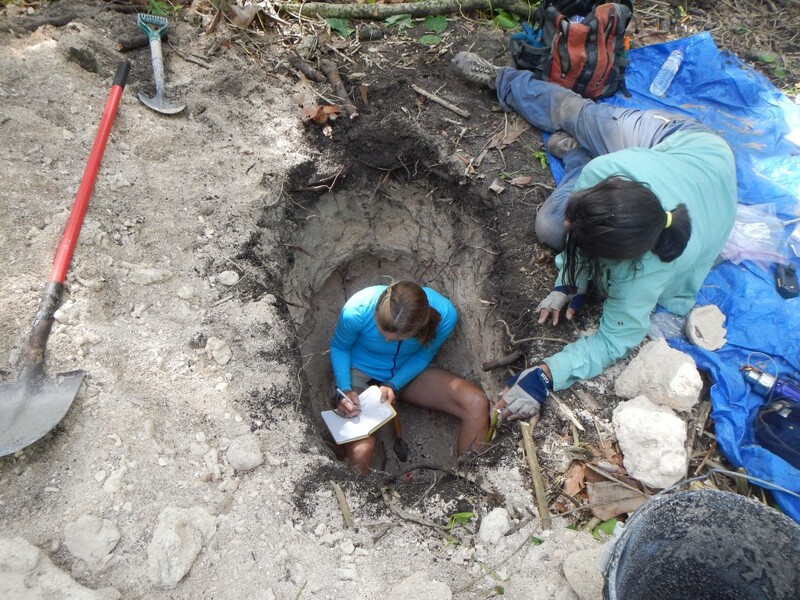 Stephanie Madsen and Aleja Ortiz note stratigraphic changes on Eneko Island in the central Pacific. Sure, acoustic sub-surface imagery and ground penetrating radar are great. Resistivity sensors and magnetometers can tell us so much. We can learn a lot from X-Ray Diffraction scans and radiography. But often the best way to understand the Earth beneath our feet is just to dig a hole. 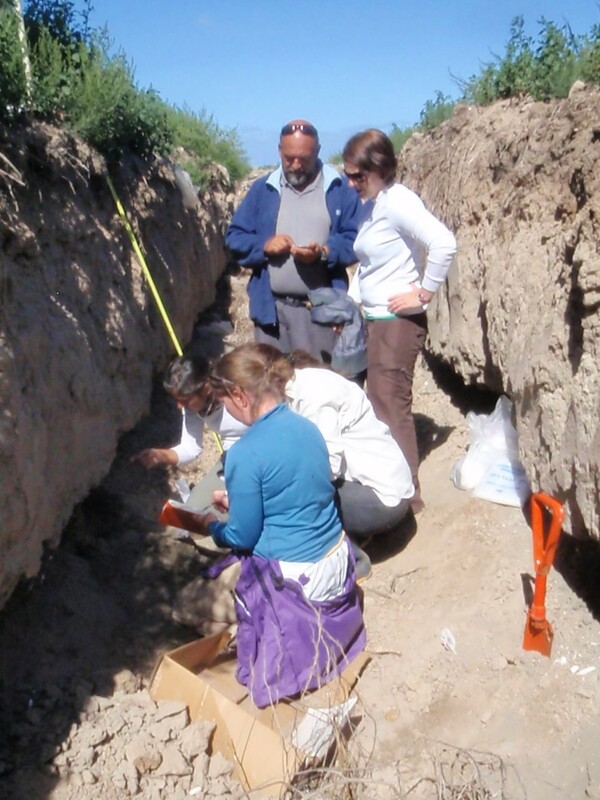 The digging of holes and trenches is a common practice in field work (as is taking advantage of existing holes and trenches that have been conveniently dug within our research area). Andrea Hawkes along with Argentine colleagues select sea shells for C-14 dating from a trench wall located over 2km inland of the present day shore line in small coastal town on San Blas Argentina. A hole lets us analyze the stratigraphy insitu, while a trench lets us track the stratigraphic layers left and right as well as up and down. Seeing how the stratigraphy changes along a trench wall provides increased confidence regarding the conclusions drawn from the interpretation. 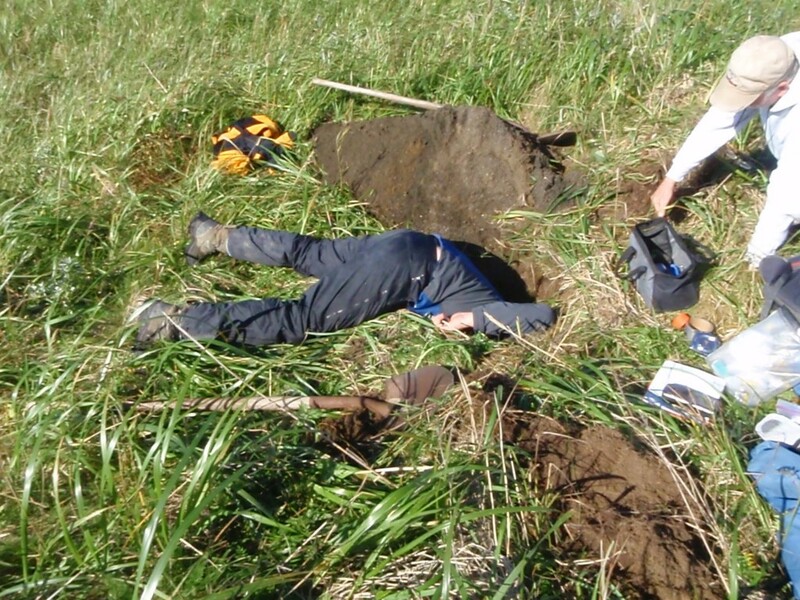 In a trench, we can record and sample the stratigraphy without concern that it was somehow disturbed by the coring process. Trenches and holes negate the issue of sediment compaction that can result from driving the core barrel into the ground and cause layers to appear deeper and thinner than they actually are. A simple measuring tape can provide precise depth information with a high degree of confidence (just remember… 0 is the top and we measure down). A shovel or even bare hands can reveal much of the geologic past. 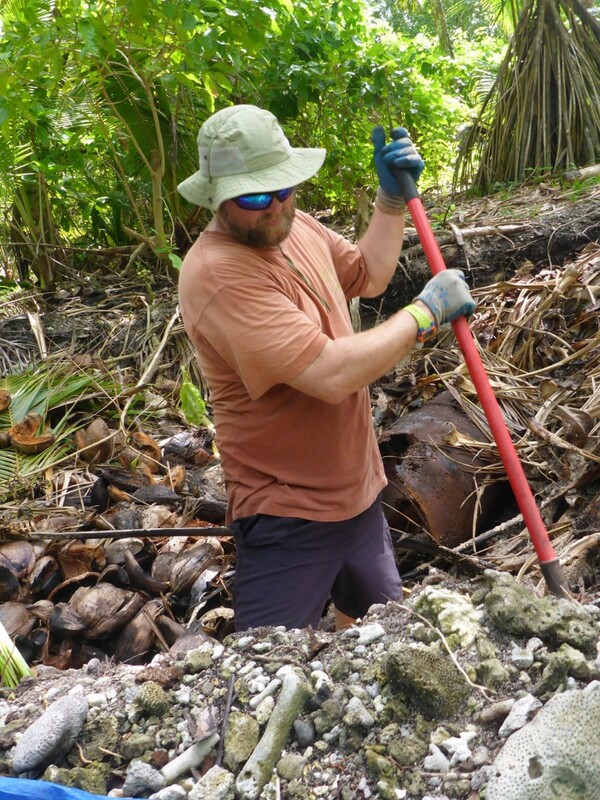 Chris Maio clears out a drainage ditch for sampling in the Marshall Islands. Jeff Donnelly goes in for a closer look.